About Net Promoter Score, Net Promoter System and how to calculate your NPS. Have you ever heard about the term "Net Promoter Score"? There are a lot of people in the world who are not aware of it while there are some others who are very well acquainted with the term. So, here you can become knowledgeable about it. 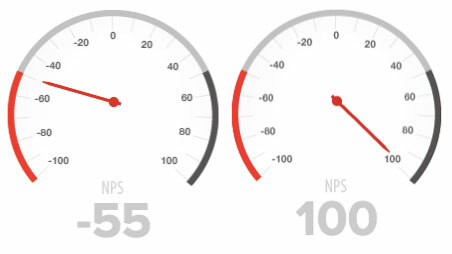 Net Promoter Score (NPS) is one of the leading, the most successful and a proven tool available globally that assists proficiently in the growth of a business. This highly efficient and user friendly tool was designed and developed by one of the board members of Satmetrics and a fellow of Bain & Co, Fred Reichheld. It has become a leading loyalty metric worldwide that has already helped and is still helping a plethora of business entrepreneurs to grow their business potentially and reach new heights. NPS (Net Promoter Score) has been hyped as one of the most essential metrics for a business in the book named “The Ultimate Question”, one of the bestselling books by Reichheld. This statement has been in debate actively since its inception. After a brief treatise about NPS, here we will discuss about its need and importance. Net Promoter Score is quite essential for every business that reveals the loyalty of its customers. NPS is amongst the most admired and demonstrated tool prevailing which is extensively used for tracking the loyalty of their old as well as new customers. It is a simple and a quick way to know how your customers represent your company or business to their family, friends or any other acquaintances to avail your services. It is more or less a kind of feedback about the competence and the reputation of your company.